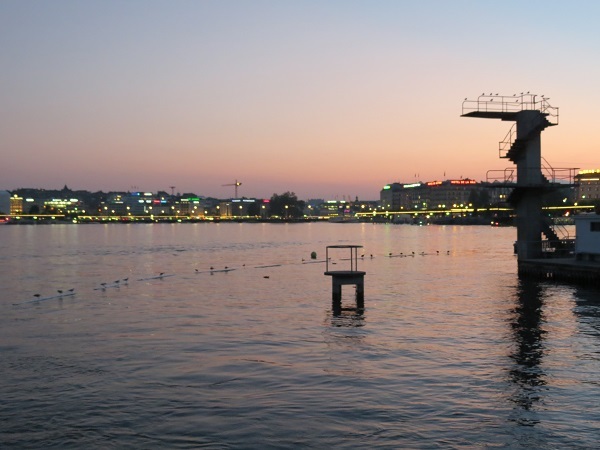 A local treasure with a long history dating back to 1872, the Bains des Pâquis hold a special place in the hearts of those who have lived here all their lives or just for a few years. 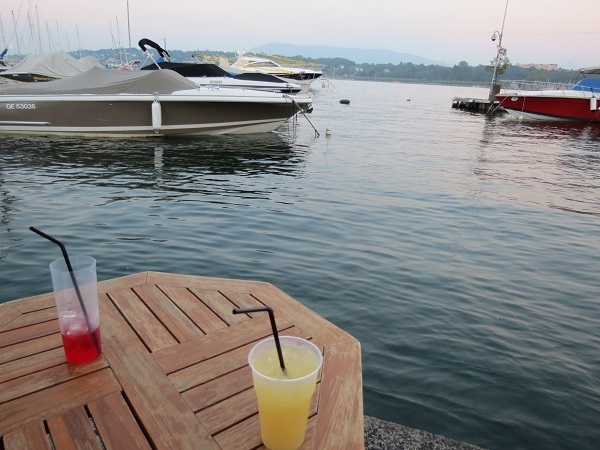 The Bains des Pâquis are the place to go for a delicious fondue au crémant, a relaxing hammam or a long day at the beach. 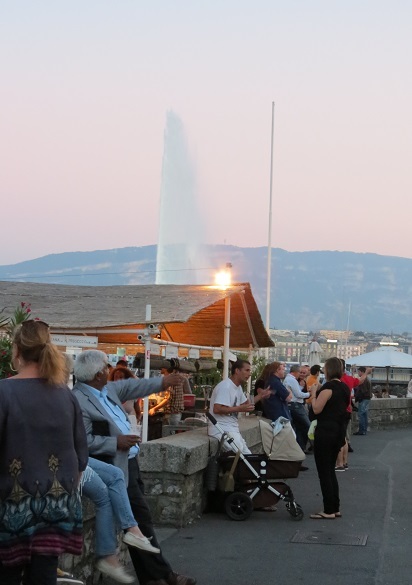 Not only that, Expat Husband and I love to come to the Terrasse Bar on the Quai Wilson in the summer for an apéro with friends when we get some time off our little ones, and then take a leisurely stroll to the lighthouse at the far end of the Bains des Pâquis. 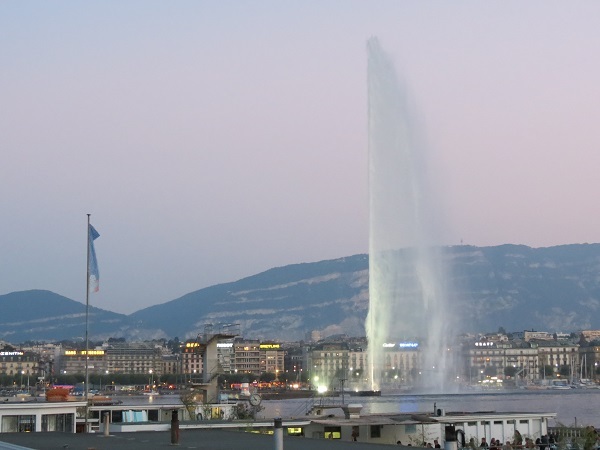 There’s no place we love more on a summer evening than the Bains: as the sun sets, the sky slowly blushes from the most delicate pink to the deepest purple, the evening air turns cooler and the Jet d’Eau stands as powerful as ever. 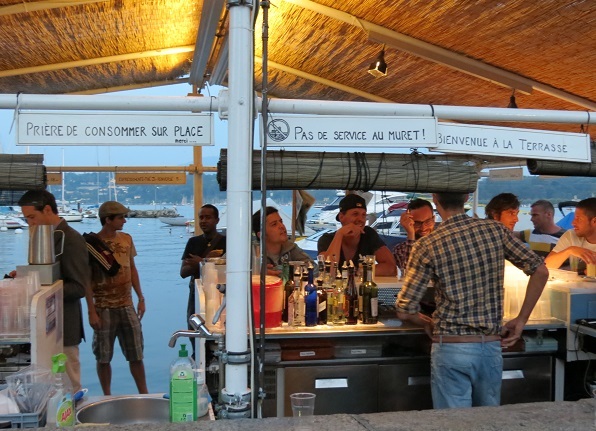 If you’ve walked or driven past the Terrasse Bar on the Quai Wilson (right next door to the Bains des Pâquis) on a spring or summer’s evening, you will have certainly spotted the crowds gathered along the lakefront for one of the best apéros in town: there’s certainly nothing quite like the feeling of chilled, laid-back placidity as you gaze at the changing colour of the lake water, sipping a cold drink. And it really doesn’t matter if you’re still wearing your work clothes or your baby carrier and flip-flops ! 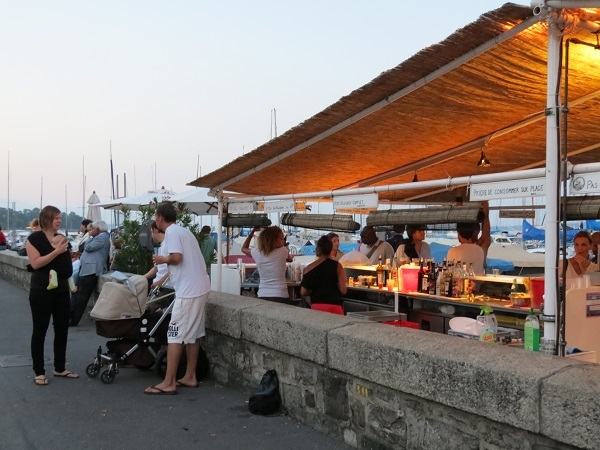 Built initially of wood at the end of the 19th century and then re-built as we see them today in 1932, Les Bains des Pâquis quickly became one of the city’s best-loved spots: locals made it their favourite destination in the summer and it quickly grew into a well-respected hub for good health and culture in the city. 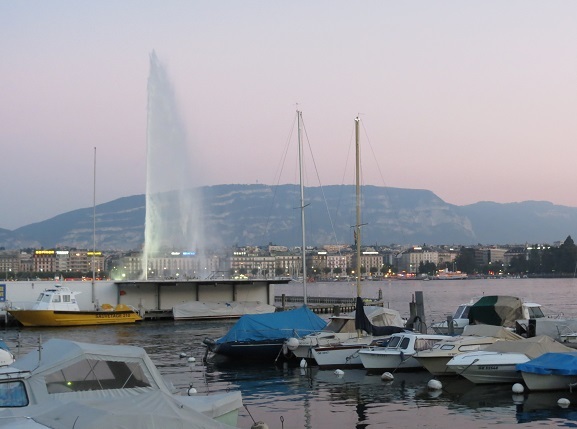 So much so, that when rumours began to spread at the beginning of the 80s that the city of Geneva was planning to rebuild (or destroy?) 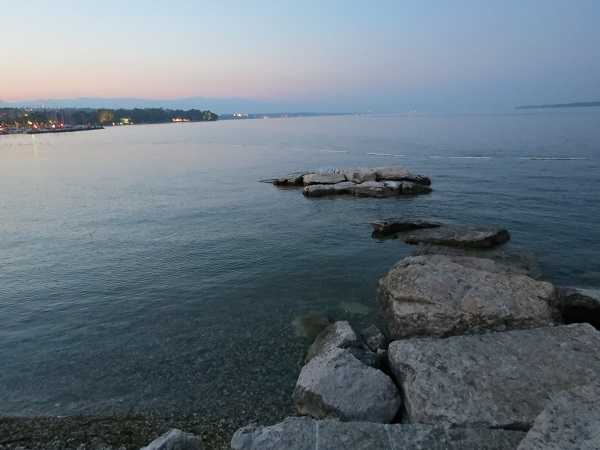 the Bains des Pâquis, the local population gatherered their forces and fought tooth & nail to preserve the Bains as they were: with over 9,000 signatures they were able to call a referendum that would give local residents the final say over the future of the Bains. 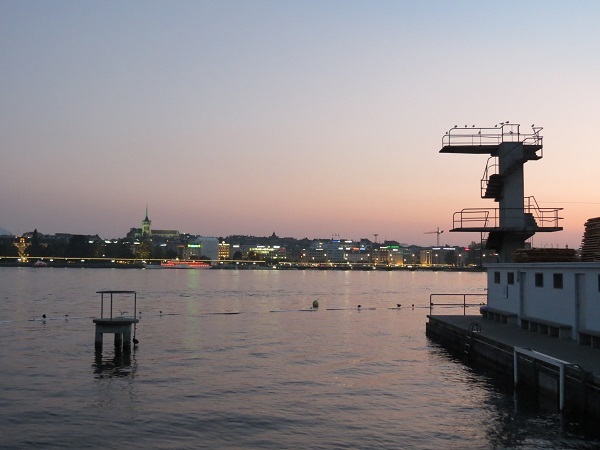 It’s thanks to this referendum, which took place on the 25th of September 1988 that the Bains des Pâquis were restored to their former glory and preserved for all future generations. 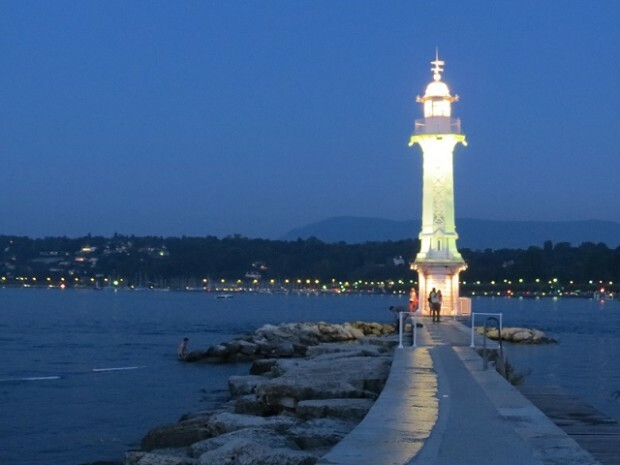 Needless to say, the Bains des Pâquis are a great destination for the whole family on a sweltering summer’s day – but we also love the view from the Bains as night rolls in…and you can still take a walk with the kids at sunset to catch some of the cool evening breeze or have a last run around before bedtime ! One last run before bed Mum ! You can also enjoy an hammam everyday until 7.30pm, although bear in mind that they will close for refurbishment works from the 27th of August until the 14th of September 2013. They will reopen on the 15th of September at 9am. 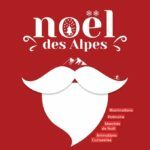 Entry is 10CHF and it includes the use of a towel. 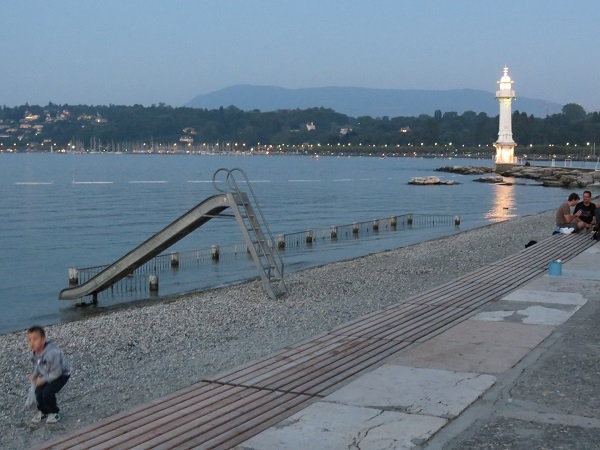 Entry to the Bains’ beach is 2CHF for adults over 16 years old; 1CHF for children over 6 AVS & AI; free for children under 6. 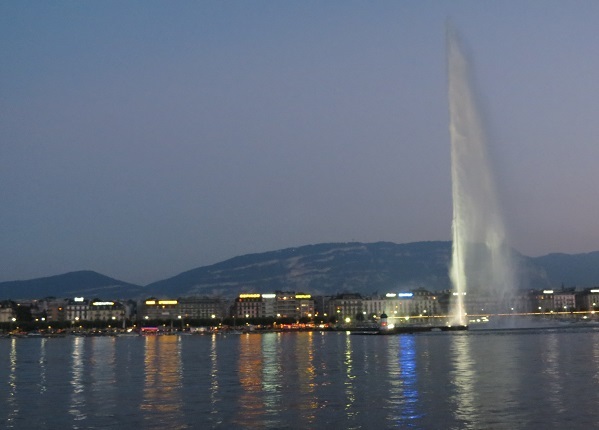 You can also book a relaxing massage anytime between 10am and 8pm (65CHF for 50 minutes) by calling 022 731 41 34. 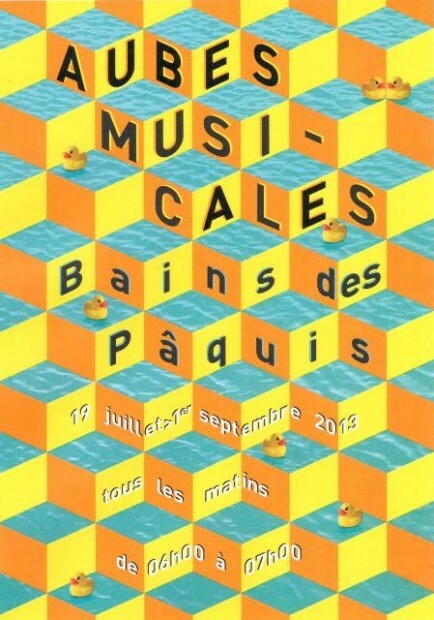 Don’t forget the “Aubes Musicales”, everyday from 6am to 7am until the 1st of September 2013; and the two exhibitions that are currently on: “150 Ans de la vie des Bains” (until 30th July 2013) and “Un iceberg dans la Rade” (until 31st August 2013). 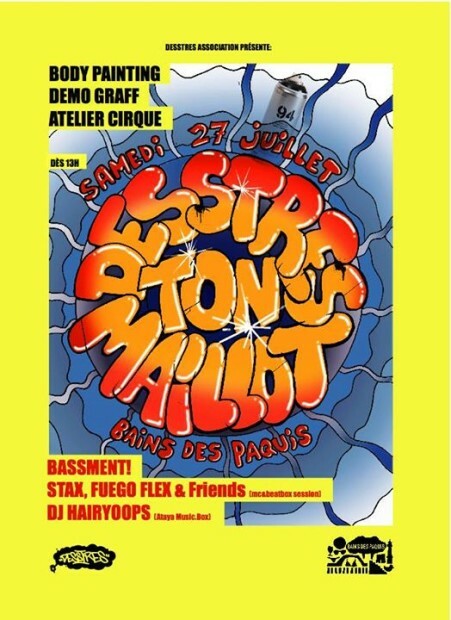 Saturday 27th July 2013: Destress aux Bains, from 1pm body painting, live music, graffiti demonstrations and circus workshops. 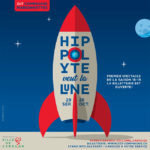 A great urban art event to enjoy with the children as well ! 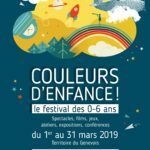 The Bains also offer private swimming courses for children from age 4 at the special price of 5.– (10CHF for adults) in French or English. 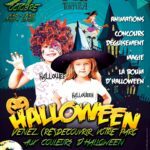 Reserve your places at the “rotonde” quickly as they fill up fast ! 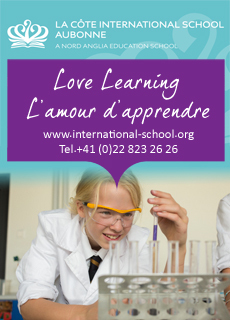 Lessons take place Monday to Friday from 9am to 6pm until the 24th of August, and from 9am to 1pm on Saturdays. If you’d like to try your hand at Taï-chi, go the the Bains every Sunday from 9.15am to 10.15am (June to September) or from 10am to 11am (October to May). 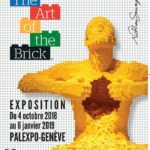 Courses are open to all and only require a small payment of 20CHF to the AUBP. 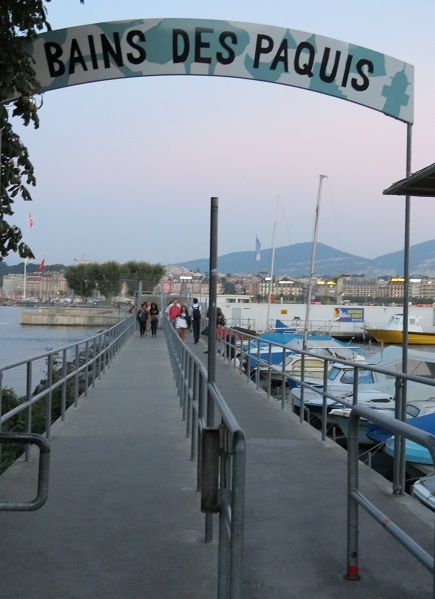 In the summer you’ll also have to pay 2CHF for the entrance to the Bains. 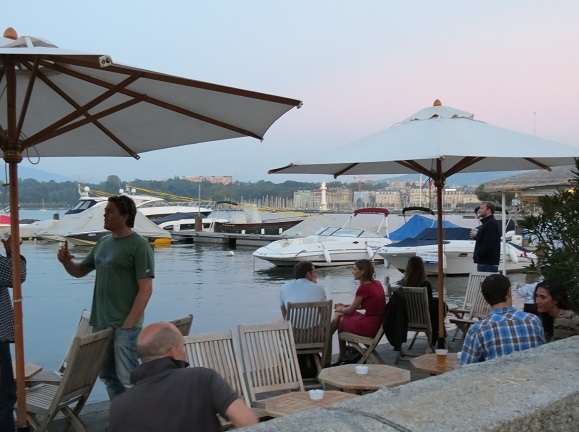 Last but by no means least, what about popping round the Bains on a Monday or Thursday afternoon from 6pm to have a little free taster of water polo, offered by the “section water polo du Genève Club Natation”? Open from 8am to midnight.